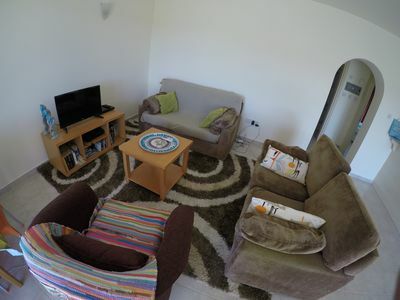 This is a modern, 2 bedroom, ground floor apartment in a quality development. 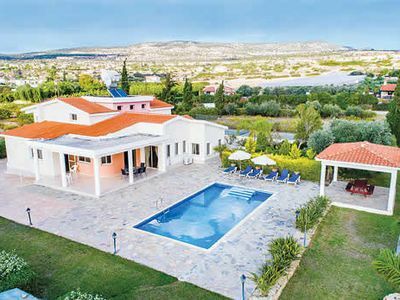 Situated near the Tombs of the Kings and 200m from the beach, with superb sea views, south facing aspect and landscaped garden and pool area. 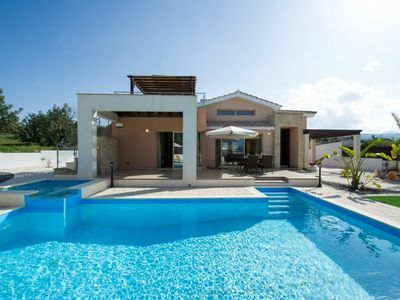 With patio and garden areas to front and side, sun loungers, gas barbecue and ‘al fresco’ dining area, you can relax in the sun all day and then watch the sun set on your private sea view whilst enjoying your favourite tipple! 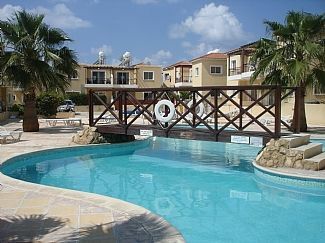 The apartment is a 15 minute drive from Paphos airport. 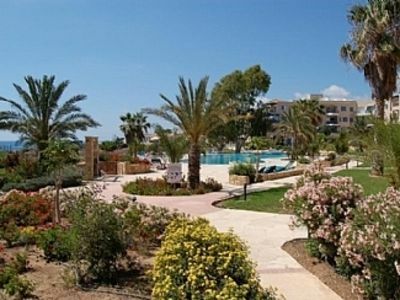 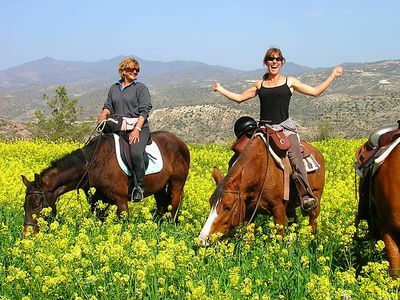 Transfers from and to Paphos airport are included in the price of your holiday. 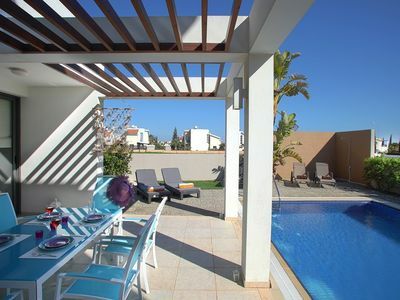 The apartment is part of a complex with full use of 2 pools, one for kids and a large family pool. 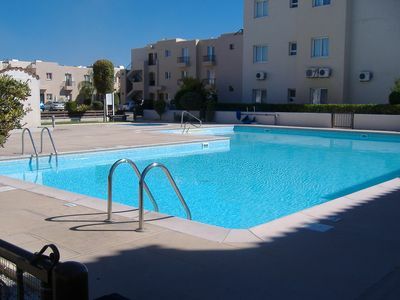 There are plenty of local restaurants and bars within a 5 minute walk of the apartment and the popular areas of ‘Coral Bay’ and the ‘Harbour’ are within a 10 minute drive, where numerous Greek and English restaurants and Tavernas can be found.. Air con is available throughout and is also included in the price. 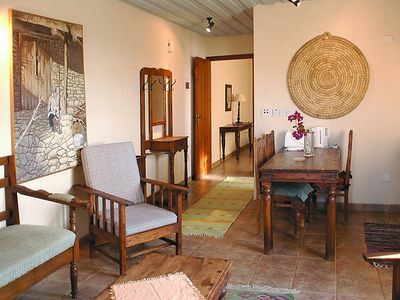 WiFi is available free of charge and English TV and catch up available as standard. 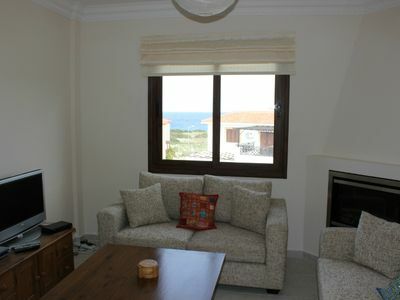 3 Bed villa with private pool and views 5 mins from beach. 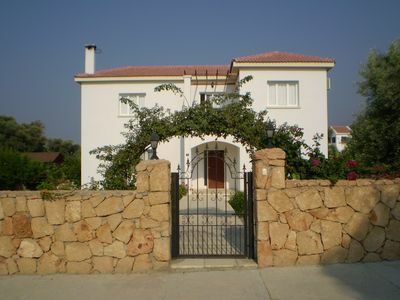 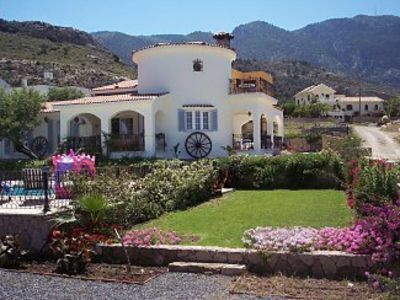 Conveniently located Villa w/pool, & almost everything within walking distance! 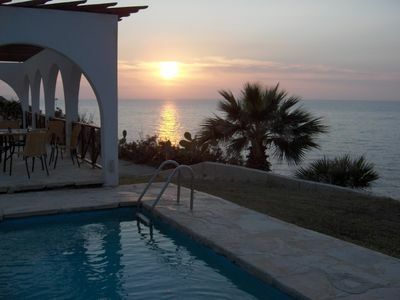 Panorama.Secluded, romantic villa right on the sea front, fantastic sunsets.